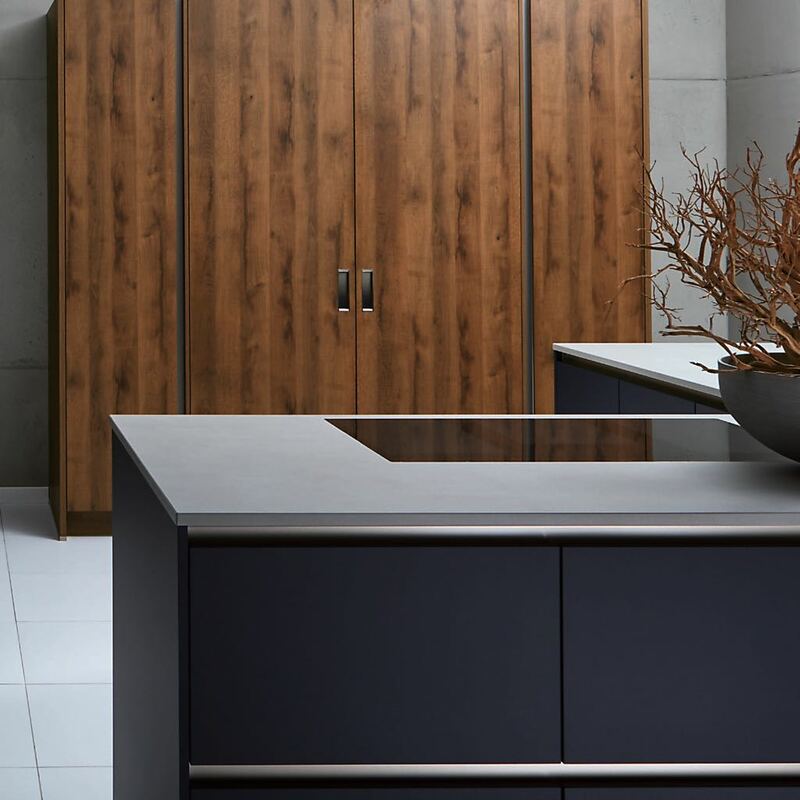 The true handleless kitchen is built around an aluminium "C" Profile which is routed horizontally into the cabinetry. For the base units, the aluminium profile is positioned between the top of the door or drawer and the worktop. This creates the space you need to place your fingers and pull to open the storage space. For cabinets with multiple drawers, an additional profile is located between the bottom and middle drawers. This allows for easy of opening of each storage space. The wall cabinets are treated similarly, with a horizontal profile positioned at the base of the unit. Simply reach up, place your fingers behind the door and pull. This is the best solution for those in search of high functionality along side a minimalist aesthetic. For the tall cabinets, such as integrated ridge freezers and larders, the "C" Profile is positioned vertically on the opposite side to the cabinet hinge. This vertical recess of approximately 30mm is designed to allow your fingers to reach the back of the door panel and pull effortlessly from any height. For layouts that include multiple tall units, the vertical "C" Profile is positioned centrally, with opposing hinged doors on either side. The result is a minimalist design, perfect symmetry, maximum storage space. The X-Line is available in every door finish from the Pronorm range. 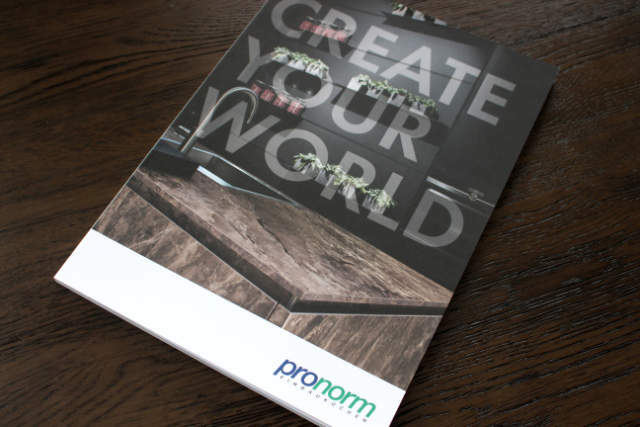 From cost effective laminates, to high quality lacquers, veneers, glass and ceramic. The X-Line is the perfect choice for those looking to mix and match. You can choose to combine contrasting or complementary colours or finishes to individualise your space. The X-Line range is a classic handleless kitchen and represents the sweet spot for contemporary kitchen lovers. The beauty is the simplicity this design delivers. With X-Line the furniture can take take a step back from the limelight. The kitchen space itself becomes the focal point, with the perfectly designed furniture playing its part in creating a harmonious heart at the centre of your home.